Have you entered my JORD watch giveaway? Ready or not, it's Monday again. 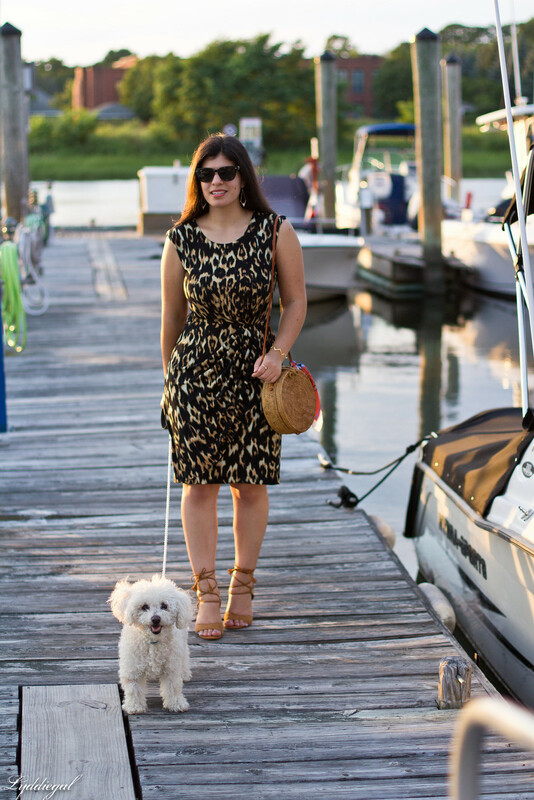 I'm still working through my dress collection this summer, and have brought out this leopard dress, a longstanding member of my closet - you can check out the first time I wore it back in 2011! I suppose the thing about remixing dresses, is that every year I'm bound to have new accessories. So the dress I've worn dozens of times can get a new life when I add in the trendy bag of the season, and even some of my Rocksbox jewelry. The fun thing about borrowing jewelry is that I can never get tired of a piece, since I just send back what I've got and a new box will be on my doorstep in a matter of days! Don't forget you can give Rocksbox a free month trial with the code lydiaxoxo! I can see why this dress has withstood the test of time!! It's fabulous, Lydia!! 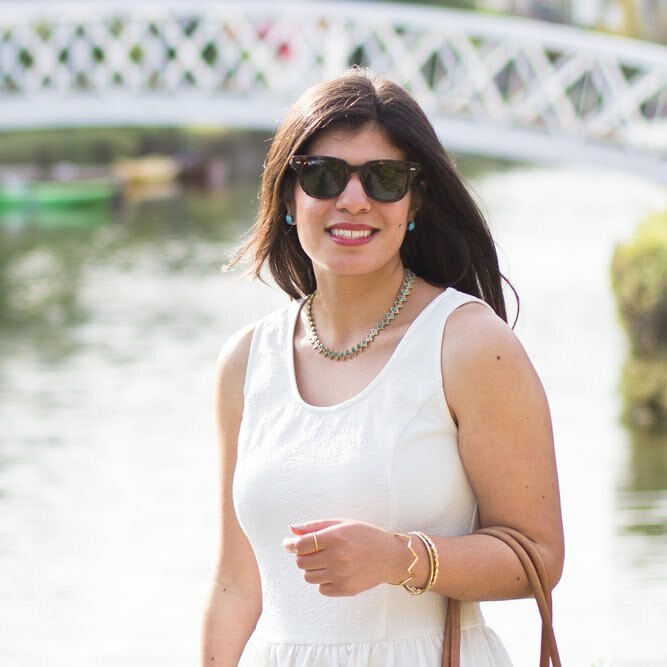 It can be layered so easily for the cooler months, yet it's perfect on its own too! Isn't it crazy to look back and see what we did right/wrong just a few years ago? I cringe to think about all the layering that I did wrong and be able to look back in 10 years and cringe even more! That dress is such a classic - I love it. And new accessories definitely give it a whole new feel. There's clearly something to be said for staple pieces like this that can can own for years and still be getting wear out of. Great "throw back" it was fun to go back and look at it . 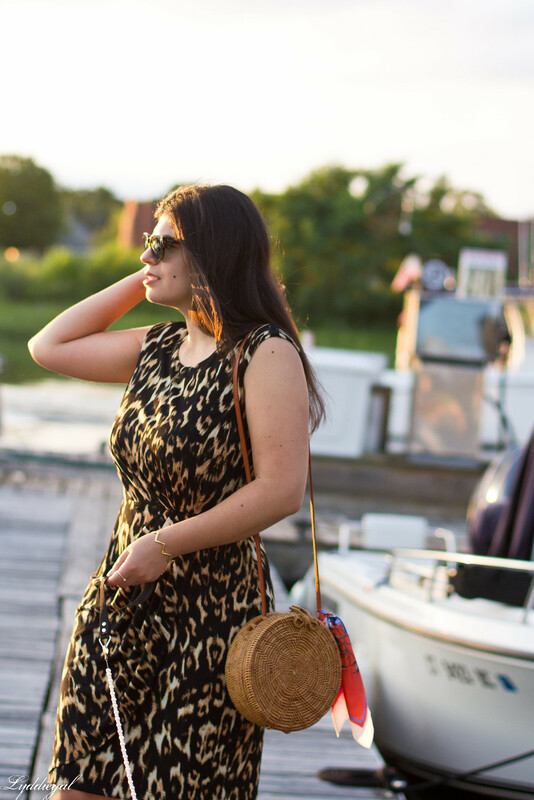 It's fabulous how leopard is a classic and you can actually wear it in 2010 and today and its still current. You're right -- you can always update a look by adding new accessories, like your awesome heels. Such a pretty dress, and I love it with your round bag! What a classic dress! And leopard never goes out of style. I am sure you'll have these dress for many more years to come! 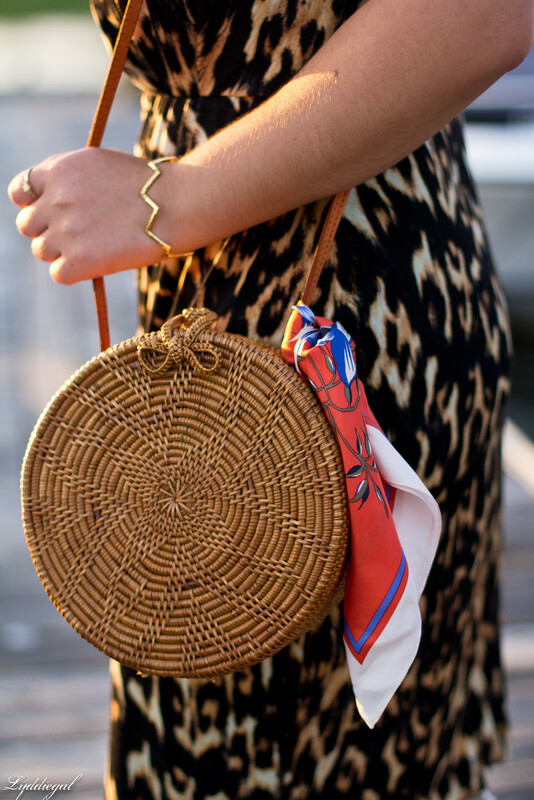 Love the bag and earrings you paired with it! That dress is gorgeous, and it looks perfect on you!! I love how you added accessories that are on the fun and funky side--lace up sandals, the zigzag bracelet, the straw bag. I feel like they really balance out the classic feel of the dress. It's amazing what new accessories will do! 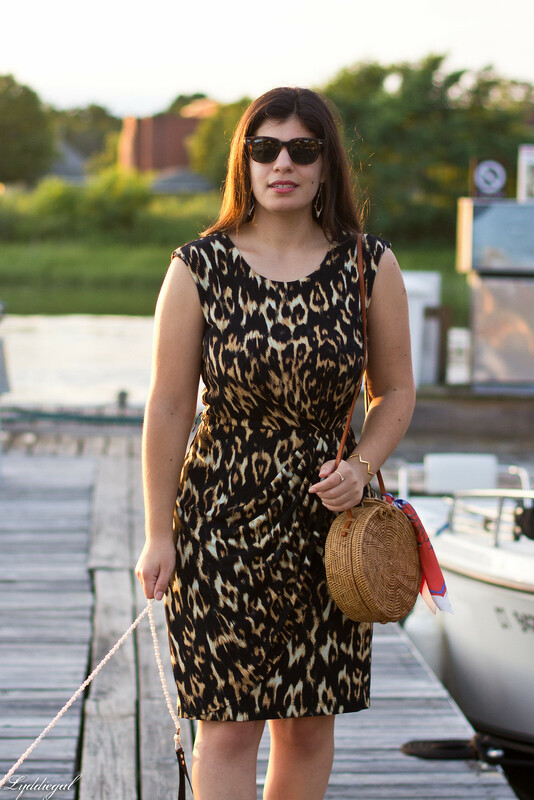 It just goes to show the staying power of a classic print on a classic fit dress like this leopard sheath. Gorgeous! 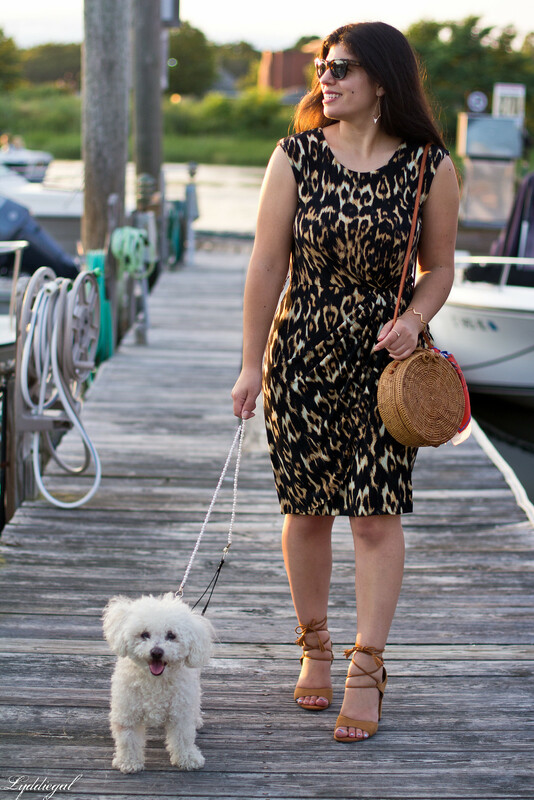 Leoprad prints just never go out of style! Stunning dress, babe!! Loving this look! I can see why you keep reaching for that dress! It looks great on you. I like how you paired it with the neutral accessories! Love that you re-wore a dress you have already featured! I can see why this dress is a keeper, it looks so amazing on you! This is such a flattering dress. 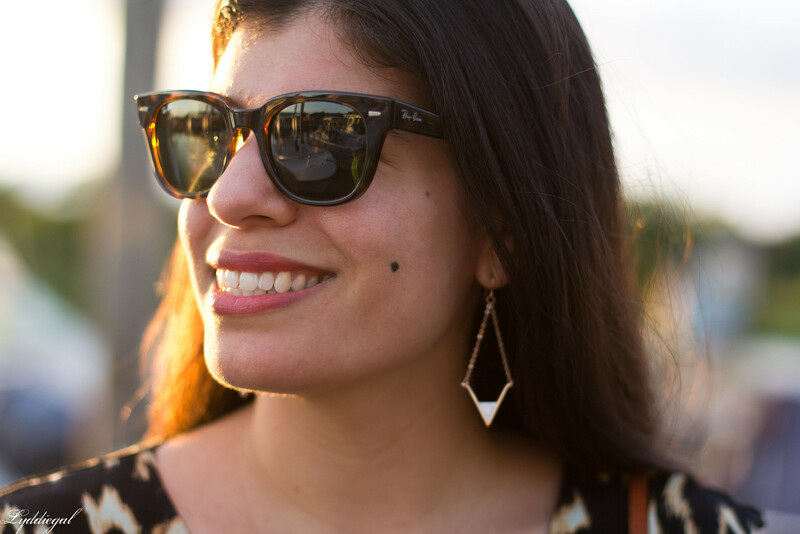 Yes, it's amazing how accessories can totally transform an outfit. I'm in the market for some new jewelry for just that reason! 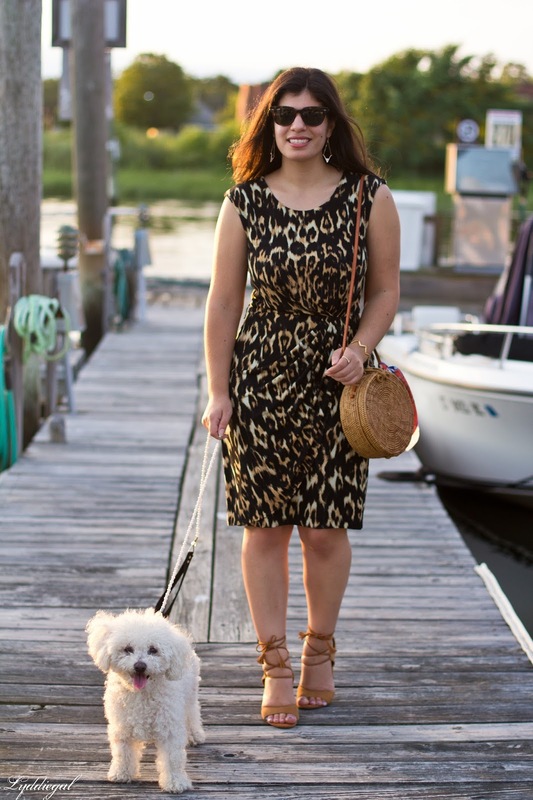 I love leopard prints but have yet to have my own leopard dress! Love this on you!